Extend the life of your clothing by repairing rips, tears and breaks. These four video tutorials will help you learn about clothing repair techniques. The fashion industry has an enormous environmental impact, generating about 13 million tons of waste each year according to the U.S. Environmental Protection Agency. This is in part due to the rise of fashion fashion, which has made it cheaper to replace clothes than repair them, coupled with the decline of simple sewing skills. If you are looking to reduce your clothing contribution to landfills, you can recycle old clothes including torn or worn ones, or you can learn to repair clothing to extend its use. We love the idea of making clothing last longer, so we turned to YouTube for some good tips and advice on how to repair common issues with clothing. 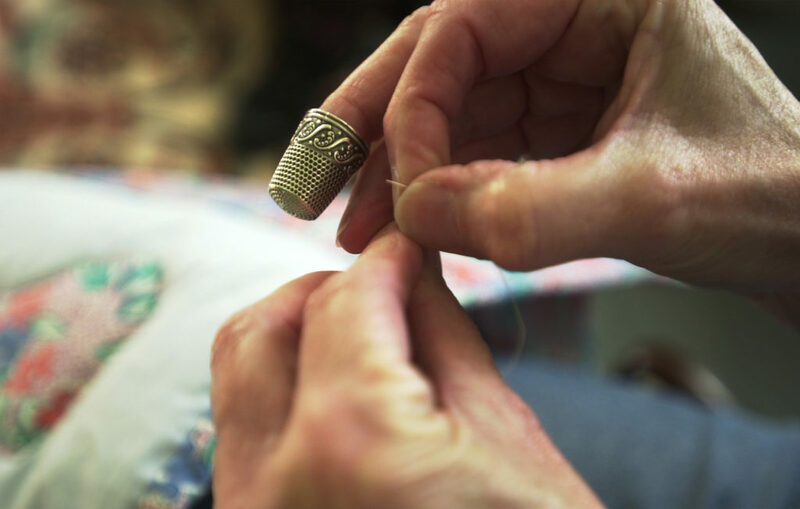 When clothes are well-loved, the threads in the seams can loosen or break. This tutorial from YouTube user May Wright (along with her adorable dog) shows you how to sew a seam with easy-to-follow instructions and a straightforward video demonstration. She suggests using the stitch for pillows or furniture, but you can also use the simple stitching to repair your split pants. Nothing is worse than having a really great pair of socks wear through at the heel. 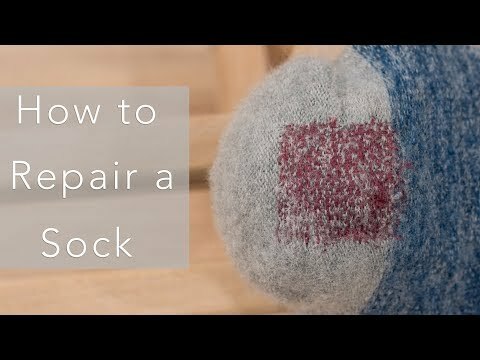 Even though knitting itself seems complicated, repairing, or “darning,” a holey sock is not as hard as it looks. It is not that hard to fix though. This video from YouTube user Professor Pincushion is well-produced and presents the steps — including how to choose your materials — very clearly. If a button pops off your favorite shirt, never fear — putting buttons back where they belong is an incredibly easy fashion fix. These written instructions on how to sew a button are pretty easy to follow, but the visual is sometimes helpful as well. This video from YouTube user Nicki Callahan is especially helpful because she uses a large instructional button and a number of entertaining metaphors to illustrate the process. If you have ever known the sadness of getting a tiny hole in your favorite sentimental t-shirt, this video tutorial is for you. 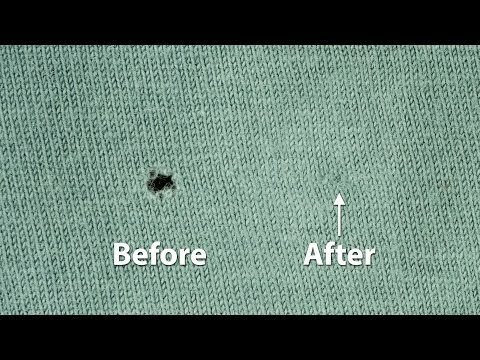 YouTube user Professor Pincushion shows you two different techniques — one using an iron and fusible bonding web, and the other using simple hand-sewing techniques — to make your t-shirt look like new. The latter takes a little coordination to get the needle through the threads, especially if the hole is quite small, but it is worth the effort for your favorite tee.